Your brain is not one big disordered jumbled mess of neurons partying together in an electrical and chemical slurry. It’s tightly organized. Each part does something special. Today I’m going to talk about the seven major parts of the brain (or, at least, the seven parts that I think are most major). How we learned all this is an interesting story in itself. You can’t crack open a person’s head and go mucking about in there to find out what everything does. Shocking, I know. But sometimes head injuries happen. While head injuries are obviously a bad thing and no one wants one, they’re also a source of information about the brain. When someone has a head injury – like the case of Phineas Gage who got a railroad spike through his frontal lobe – they don’t always die. But often, things change. Personality or memory gets messed up. Maybe they go blind, even though their eyes are working perfectly. By looking at what the person can no longer do, and comparing it to which area of the brain is injured, we can figure out what each area of the brain does. It’s from studying these unfortunate individuals that we figured out what most of the parts of the brain do. Head injuries were a big source of information in the early part of the 20th century, when the study of neuroscience was still young. We now have machines like MRIs which allow us to look inside a person's brain without injuring them. Obviously, this is better for all involved, especially for the person who's brain is being studied. 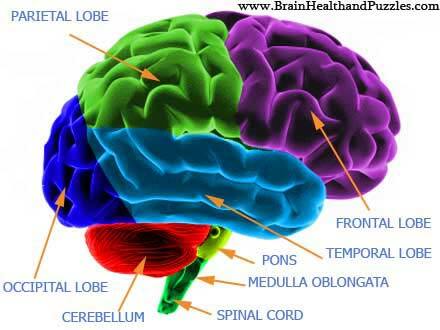 The frontal lobe: Personality, attention, and social interaction. 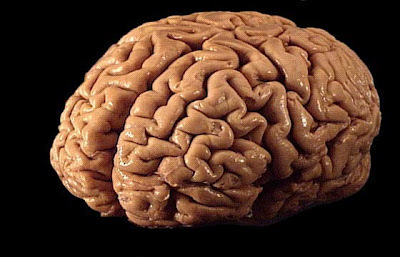 Humans have the most developed frontal lobe of any animal in the world. The parietal lobe: Sensation, particularly the sense of touch. Also, muscle control. The temporal lobe: Hearing, certain types of memory, and language. The occipital lobe: Vision. That’s all. Vision. Sight is the only sense with its own dedicated lobe. There's more brain space devoted to processing sight than any other sense. This is why it's the most important sense in most people. In blind people, the hearing, touch, and smell centers of the brain invade the occipital lobe, which means more brain space for these senses. This is why the blind people have such sharp senses of hearing and touch compared to people who can see. The limbic system and hypothalamus: This is a collection of structures located deep inside your brain which control the actions you take in order to keep yourself alive. The hypothalamus is responsible for hunger, thirst, and temperature regulation. The limbic system is in charge of emotions like fear and desire. It’s also involved in memory and sense of smell. The cerebellum: Muscle control and muscle memory. When you go through a complex series of movements without thinking about it, like playing a musical instrument or doing a basketball jump shot, that’s your cerebellum taking over. 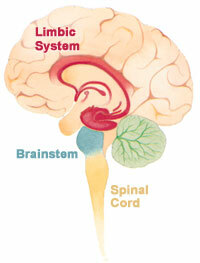 The brain stem: This is absolutely, completely, 100% essential for your survival. That’s because the brain stem controls your heart and your lungs. It’s also involved in pain, regulating sleep-wake cycles, and transmitting information from the brain to the spinal cord and down to rest of the body. In the picture on the left, this is the bit which includes the pons and medulla oblongata. CHALLENGE: I mentioned Phineas Gage, who survived a railroad spike going through his frontal lobe. He survived, but he wasn't the same. Based on what I just told you, what do you think happened to him? Answer in a future post. And yes, I know I still owe you the end of the action potential story - the synapse. That's coming up too. Thanks for sharing! You gave a good summary of the functions of each part of the brain. The illustrations were very helpful in identifying the lobes and other parts because of the distinguishing colors too. Awesome! this helped me with my biology project on the brain. Thanks alot! Thanks for your information This helped me so much with my homework. Many thanks for all this valuable information. Thanks! I'm trying to research the difference between the brain functions of sight reading music vs. playing by ear. I've noticed that when I play by ear, I rely heavily on the touch of the piano. It's like I FEEL the music itself more than hear it. I can play with my eyes shut perfectly fine. Site reading doesn't feel that way. Rather, it tells like there's puppet chords moving my hands according to what notes appear next on the sheet music. The music is seen in front of me instead of felt.